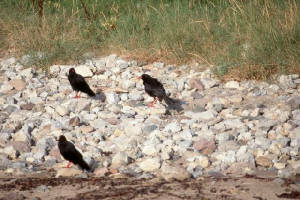 Habitat: Sandy and rocky beach with open sea; landbird habitat including scrub & gardens. 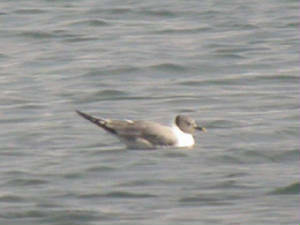 Main interest: Open-shore waders (winter & passage); divers & seaduck; passerine migrants; gulls, terns & skuas. Regular/annual: Red-throated & Great Northern Divers, Brent Goose, Merlin, Whimbrel, Sanderling, Little Stint, Purple Sandpiper, Great & Arctic Skuas, Mediterranean Gull, terns, Chough, White Wagtail, Dipper, Wheatear, wintering Black Redstart. Nesting Ringed Plovers. Scarcer species & rarities: Black-throated Diver, Red-necked Grebe, Balearic Shearwater, 'dark-bellied' Brent Goose, 'Black Brant', Eider, American Golden Plover, Lesser Yellowlegs, Semipalmated Sandpiper, Ruff, Curlew Sandpiper, Grey Phalarope, Pomarine Skua, Sabine's Gull, Black, White-winged Black & Roseate Terns, Little Auk, Short-eared Owl, Wryneck, Pied Flycatcher, Red-backed & Woodchat Shrikes, Tree Sparrow. Best birds: Ruddy Shelduck (Clonea, March 1871). Access: Access to Clonea strand is possible via several routes from the main Dungarvan-Ballyvoyle coast road. To get to Ballinard (Ballynacourty Point), take the Gold Coast road south from Kilminnin Bridge along the east side of Dungarvan Bay, turn left just before Ballinacourty Golf Course and take the right turn at the next junction. As an alternative to this, take a left turn there, then the next right, to reach the car-park at Ballinclamper, probably the best location from which to view waders and terns. 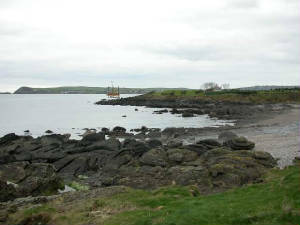 Ballinard can be accessed on foot from there, either along the beach or by following the path along the old railway track. Other points along Clonea Strand, north-east as far as Ballyvoyle Bridge, can be reached by following a number of other access roads, including that leading to the Clonea Strand Hotel. The sandy beach at Clonea runs for over 3 km south-westwards from Ballyvoyle Bridge to Ballinacourty Point (and lighthouse) at the north-east corner of Dungarvan Bay. Many of the birds to be seen along Clonea strand are present in higher numbers at Dungarvan but, at low tide, Clonea often provides better views of waders, because they feed over a narrower expanse of shoreline. Typical sandy-shore waders here are Ringed Plover, Grey Plover, Sanderling and Bar-tailed Godwit, but others are also regular. At the southern end of the strand, in the area known as Ballinard, on the east side of Ballinacourty Point, the shoreline becomes much rockier and Turnstone are common. A real specialty here is the Purple Sandpiper. Scarce migrant waders are also possible in spring and autumn, and flocks of up to several hundred Whimbrel are regular in late April/early May. Rarities have included Semipalmated Sandpiper and Lesser Yellowlegs. Brent Geese regularly feed at Clonea or commute to and from Dungarvan. Other wildfowl include occasional Eider or Long-tailed Duck among the more frequent Red-breasted Mergansers or Common Scoter on the sea. Red-throated and Great Northern Divers are regular (the latter often in tight flocks), with smaller numbers of Great Crested Grebes and Black Guillemots. 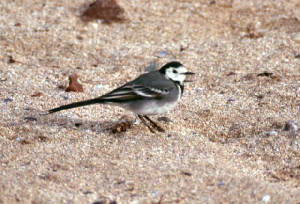 Rarer visitors include Black-throated Diver, Red-necked Grebe and Little Auk. Good numbers of gulls are usually present, and Mediterranean Gulls are nowadays fairly regular. This is probably the best location for viewing terns in Waterford, with good numbers of Sandwich and Common Tern regular, especially in autumn, both feeding and resting on the beach or inshore rocks. Roseate, Arctic and Black Terns occur in smaller numbers, and White-winged Black Tern has occurred; potentially, even rarer species may occur. Arctic Skuas regular harass the terns along the beach and in the mouth of Dungarvan bay. The whole area, but perhaps especially the southern end towards Ballynacourty Point, is also worth checking for passerines. 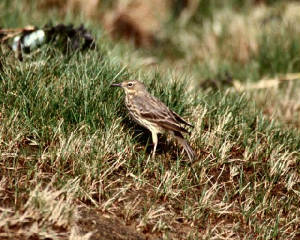 There may be dozens of Rock Pipits feeding among the seaweed strewn on the shore, and good numbers of White Wagtails among them in September especially. A few Black Redstarts usually winter, especially at Ballinard, and large numbers of migrant Wheatears have been seen in early spring. The trees and bushes at Ballinard and behind Ballinclamper provide good cover for warblers and other night-migrants, and are worth checking, particularly after south-easterly winds; both Red-backed and Woodchat Shrike have occurred. Winter finch flocks here occasionally include a few Bramblings or Tree Sparrows among the more usual species. At the north end of Clonea, Ballyvoyle Glen and gardens and scrub around Ballyvoyle Bridge can also be good for migrant passerines, and must have potential for rarer species. The stream above the bridge is also worth checking for Dipper.